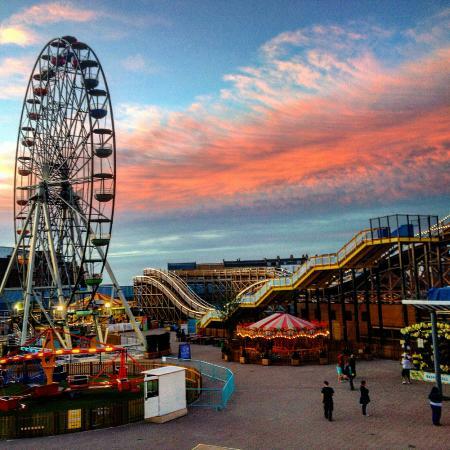 Margate's entertainment and amusement centre. 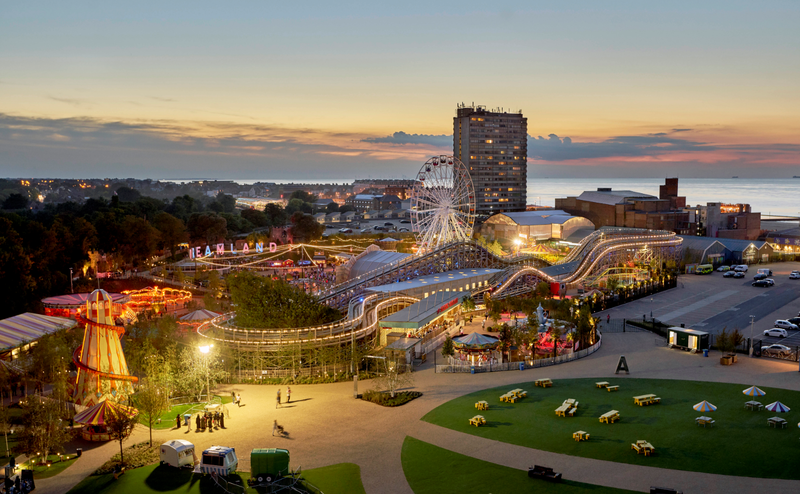 The site of the park was first used for amusement rides back in 1880, although the Dreamland name was not used until 1920 when the park's grade II listed scenic railway was opened. The number of amusements increased during the 60s, which led to a boom in tourists for the next 20yrs. In 1981 Dreamland was sold to the Benbom Brothers, who then renamed it "Benbom White Knuckle Theme Park". It truly was the 'Disney' of Europe. The name remained until it reverted back to Dreamland in 1990. In the early 2000s, Dreamland suffered much decline, and subsequently closed. Public support, and a government report led the site to be sold to Margate Town Regeneration Company in 2005. The campaign to restore the park continued, and in September 2013 ownership was passed to Thanet District Council. In 2014 it was confirmed that the park would be redeveloped. 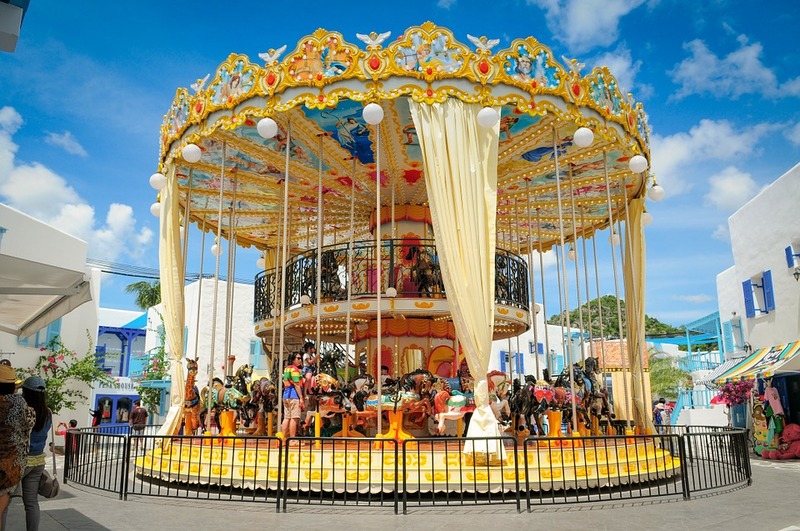 It reopened in June 2015 as re-imagined Dreamland. Free all day Saturday but will close at 11.30pm. The most expensive but ideal for coaches and mini buses. £4 for one hour. The smallest of all the car parks. Expect it to be full early. £1.10 for one hour.